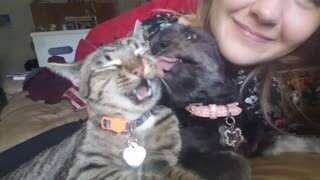 Rumble / Funny & Cute Animals - People say that cats and dogs are the worst enemies, and in most cases they really are. While some cats and dogs might not get along, and honestly, that’s 99 percent of the time, but that 1 percent give us hope that there are plenty of other pairs who love each other very much! These buddies have their ups and downs, once they are best friends and other times they are the biggest enemies. However, with their love-hate-love friendship are here to demonstrate a significant truth about social media. 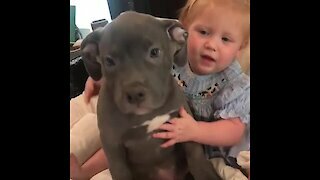 Check out the video of them and see both sides of Instagram with this dog and cat who are cuteness overload. Check out Finn the German Shepherd and his feline friend as the perfectly demonstrate the difference between Instagram and reality. Too funny! First, they show us how our Instagram feed is, full of love, dogs, and cats getting along, everything is perfect, and it paints a picture that the world out there is is perfect. However, later the paint the real picture. You can see how Finn’s furry friend is a douchebag and love giving him some slaps even though Flinn does nothing. It represents how the world and life are not as perfect as presented on social media. Sometimes life will bring lots of slaps in your face, without even deserving them. What an incredible and creative demonstration of these two amazing buddies! Can we talk about the fact of how foxy they look? 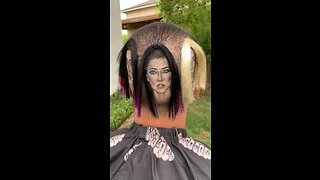 This precious video is what the Internet was made for! There are some people out there who believe that animals are just normal creatures, but the truth is the animal kingdom never ceases to amaze and inspire us, making us put all our differences aside! So adorable! 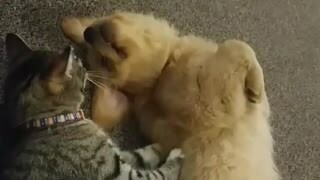 We have a lot of proof that dogs and cats can be best friends, even if the cat loves to give them a few slaps now and then. 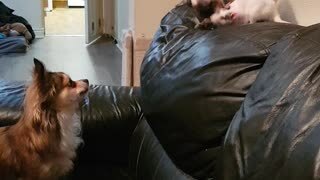 Just check out this heartwarming playtime between dog and cat and see how much they can cherish each other. Bruiser and Bella are undoubtedly the best friends, and they know how to have fun anywhere and anytime. It only takes one of the two to stumble or swipe at the other to start the action and both roll on the carpet like two small children. 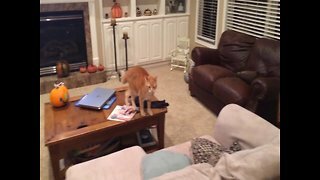 These unruly pets are not the typical cat in the armchair sleeping all day and the dog that plays only with humans in the yard. Well, these two lovely pets get along very well, and they are the sweetest! 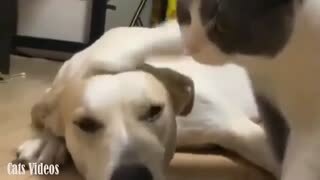 A Cat Hitting A Dog on His Head.